THE CAUSTIC wit, high times, eventful life, and inner shadows of writer Dorothy Parker are all evoked in The Whistling Girl, a new musical show featuring the combined talents of composer Trevor Knight and actor/singer Honor Heffernan. The show features Knight’s terrific settings of Parker’s poetry, transporting it to the 21st century and giving it a sonic face-lift with an imaginative array of musical genres. Each song is infused with a unique ‘voice’, creating individual tableaux or dream moments from Parker’s psyche, conjuring up images from her tempestuous life of outrageous celebrity - founding member of the celebrated Algonquin set in New York and as a civil rights activist in America and Spain during the Spanish Civil War. While Knight is a long-time fan of Parker’s work, Heffernan was largely unfamiliar with it before doing the show. 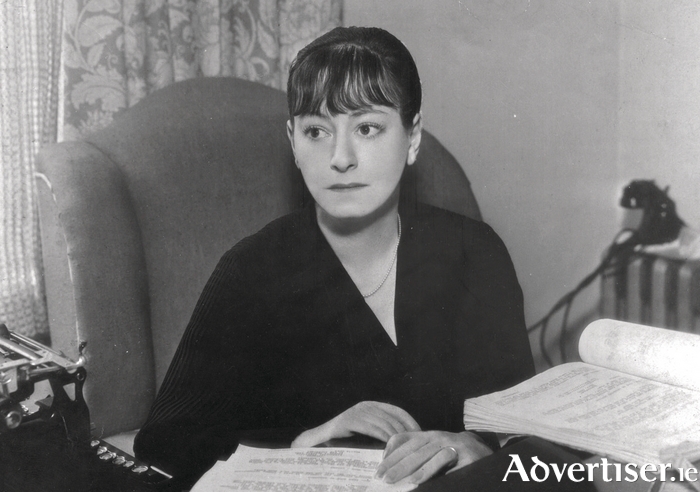 “All I knew about Dorothy Parker before I met Trevor were the quotes and quips and sarcastic humour,” she reveals. “Since then I’ve discovered a real life human being there who had a lot of problems, she suffered from depression, she had suicide attempts. She felt she never fitted in. She had bad relationships. For all the exterior personality and traits that we know of her, inside there was a lot of turmoil. She was at a party one night and went to the bar and the bartender asked her ‘What are you having?’ and she replied ‘Not much fun!’ and that was the truth of her. She could be the life and soul of the party but inside she was quite unhappy. Accompanying Heffernan is a band of top Irish musicians, including composer Trevor Knight (keyboards ), Garvan Gallagher (bass ), Tom Jamieson (drums ) and Ed Deane, (guitar ).